Explore our Local Ocean Waters. Make Discoveries. Ocean Exploration classes expose students to the wildlife that call our local ocean waters home. Marine science comes alive as students learn while out on the water or while exploring by the shore. 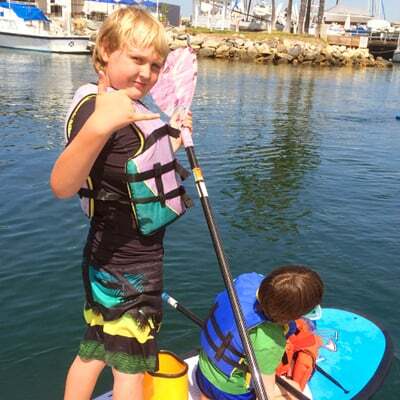 The class is often taught on stand up paddle boards (SUPs) and kayaks. We will also be incorporating snorkeling, beach/tide explorations, fishing etc. depending upon weather, tide and ocean conditions. Particular focus will be placed on marine ecosystems and marine plant and animal groups. Ocean conservation is integrated into sessions and students learn ways that they can help protect our oceans and the creatures that call it home. What to bring/wear: swimwear, sunscreen, hat, towel, water, and snacks.